Dubai, UAE, June 14, 2018: Every proven leader needs a little help to reach one's goals. 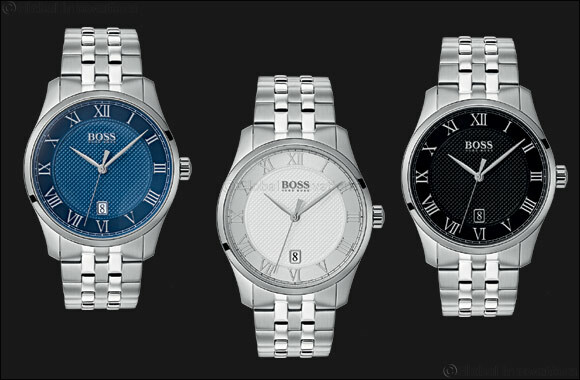 The BOSS Watches Master collection offers everything you need in terms of design and comfort. Practical and reliable, The BOSS Master timepiece enables you to attain your objectives in an easy, quick, and very classy way. With discrete circular guilloch� on the outer edge of the dial contributes to give a recognizable style and large and visible Roman numerals enhance the classical aspect of the time piece. The Master collection is a distinctive and popular choice amongst men who keep in line with fashion and style.